Collect Tesco Clubcard points when you fill up. 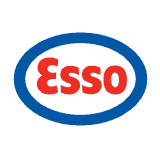 Save up to 10p per litre with Esso ! Fill up your Clubcard when you fill up your tank!